Kingsbarns Golf Links is located on the east coast of Scotland near the village of Kingsbarns, 7 miles (10 km) southeast of St Andrews, Fife. From St Andrews: Allow 20 Minutes driving time. Take A917 toward Crail. 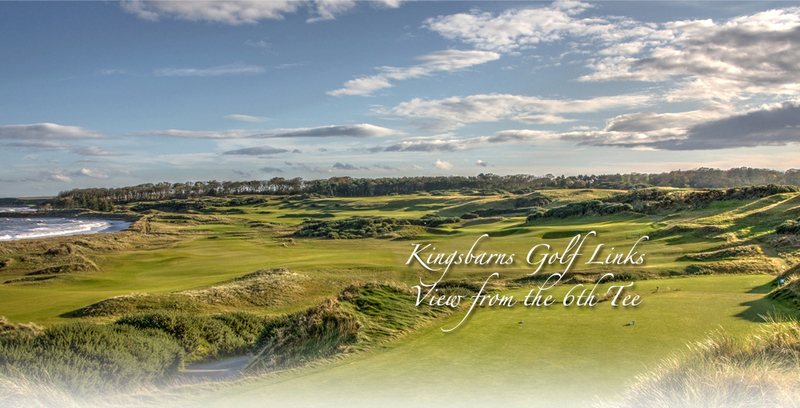 After passing through the village of Kingsbarns, the entrance to Kingsbarns Golf Links is sign posted on the left 800 yards (750m) beyond Back Stile. Take A90 over the Forth Road Bridge on to the M90. At junction 8 take the A91 towards St Andrews. Follow A91 to St Andrews. From Glasgow take M8 towards Edinburgh. At junction 2 turn onto M9 and follow signs for the Forth Road Bridge. Take A90 over the Forth Road Bridge on to the M90. At junction 8 take the A91 towards St Andrews. Follow A91 to St Andrews. Take A90 towards Dundee. In Dundee city centre, follow signs for Tay Bridge. Cross Tay Bridge. At roundabout take 2nd exit for Kirkcaldy and St Andrews. At Forgan roundabout take 1st exit for St Andrews. Continue on A914, follow signs for Leuchars A919. At Leuchars roundabout take 2nd exit for Guardbridge. At Guardbridge roundabout take 1st exit for St Andrews. Continue on A91 to St Andrews.